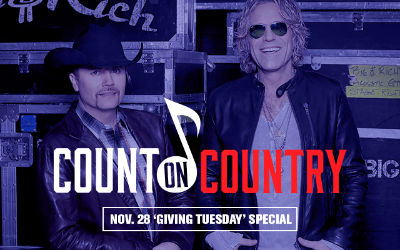 Larger-than-life duo Big & Rich unveiled their new video for their latest single “California” on HitsMeUp, a digital platform for fans to interact and engage with artists (watch HERE). “California” is already generating buzz and moving up the charts! The “Save a Horse (Ride a Cowboy)” singers are also stepping up their promotional efforts with a hilarious infomercial inviting fans to listen and download the single. 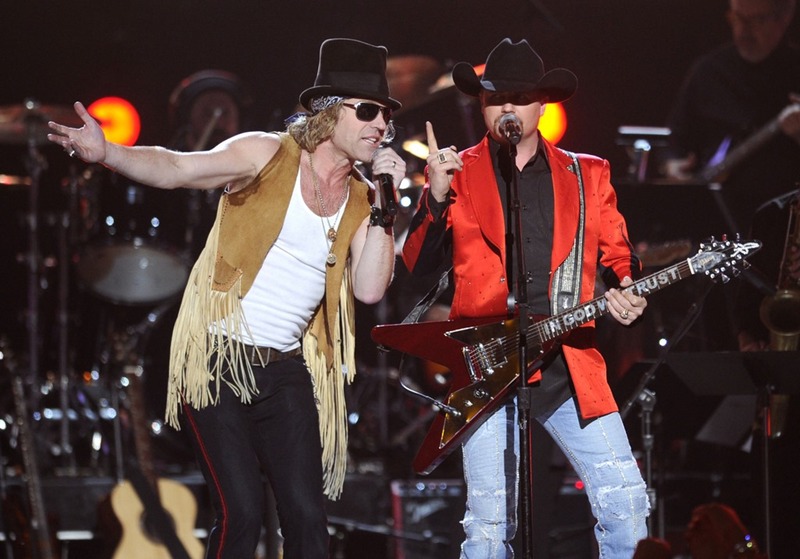 In true Big & Rich style, they joke that fans can purchase “California” right now on iTunes for 5 easy payments of $0.252! CLICK HERE to watch. “California” will also be promoted by HitsMeUp in over 100 major cable markets in a series of commercials highlighting the new video. 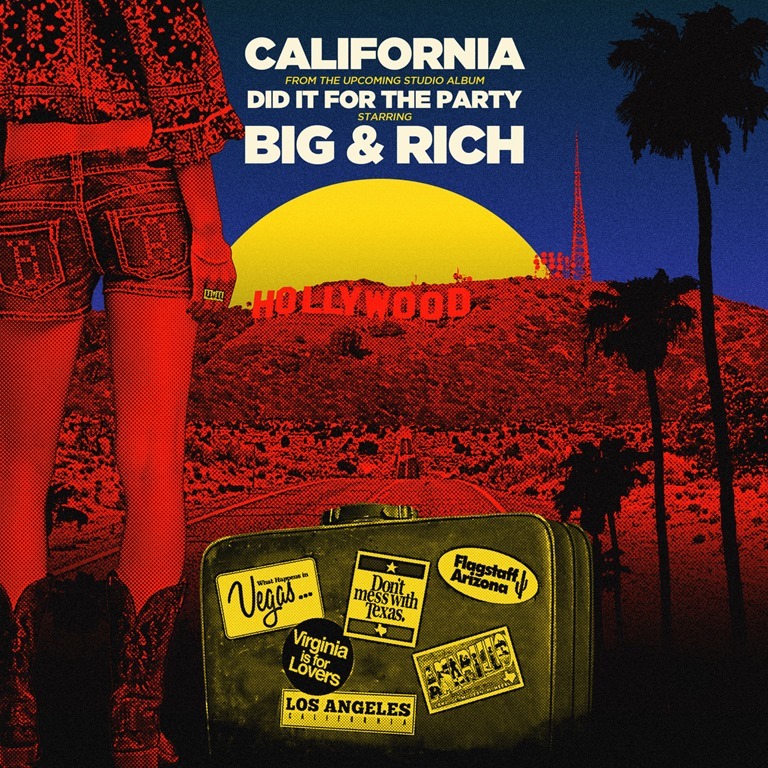 “California” is the lead single from Big & Rich’s upcoming album, Did It For The Party, slated for a third quarter release. Fans can catch the hit makers on tour this summer as they embark on their 2017 Did It For The Party Tour. Throughout the year, the must-see show will make stops throughout North America, stopping at venues and festivals nationwide. Shot on location in Nashville, Tenn. and directed by P.R. Brown, the video spotlights a young woman and her journey to California. The partnership between Big & Rich and HitsMeUp was a natural fit because HitsMeUp recognized the “value gap” that exists due to the current, antiquated monetary distribution system. For this reason, HitsMeUp distributes a significantly higher revenue share with artists and content owners. “California” is available on iTunes, Spotify and wherever music is sold. May 29 Party on the Porch — Knoxville, Tenn.
June 10 Wild Adventures Theme Park — Valdosta, Ga.
June 11 Carolina Country Music Fest — Myrtle Beach, S.C.
June 17 B-93 Birthday Bash — Martin, Mich.
June 22 Country Stampede — Manhattan, Kan.
June 23 Lake Shake Festival — Chicago, Ill.
June 24 Gold Strike Casino — Tunica, Miss. July 08 Beaver Stadium — University Park, Pa.
July 09 Indian Ranch — Webster, Mass. July 12 La Porte County Fair — La Porte, Ind. July 14 LakeFest — Atchison, Kan.
July 15 Morgan County Fair — Jacksonville, Ill.
July 23 Country Thunder — Twin Lakes, Wis.
July 29 FireFest — Cold Springs, Minn.
Aug. 11 Route 66 Music Festival — Springfield, Mo. Aug. 12 Logan County Fair — Sterling, Colo.
Aug. 13 Thunder Mountain Amphitheatre — Loveland, Colo.
Aug. 19 Carolina Kickoff — Greenville, N.C.
Aug. 20 CelebrateEerie — Erie, Pa.
Sept. 01 South Dakota State Fair — Huron, S.D. Sept. 16 Falcon Stadium — Colorado Springs, Colo.
Oct. 01 Route 91 Harvest Festival — Las Vegas, Nev.
Oct. 07 FireKeepers Casino Hotel — Battle Creek, Mich.
About HitsMeUp: HitsMeUp, is an online platform and native app that gives music fans access to exclusive content from their favorite artists, music labels and other content creators, including videos and debuts, streaming concerts, special announcements, contests and giveaways, and more. HitsMeUp was co-founded by Skip Bishop, Chris King, Chad Little, Stokes Nielson, and Butch Waugh. Midland added To Billy Bob’s Texas “Hand Prints Of Stars” during sold out show joining Garth Brooks, Blake Shelton, Willie Nelson, Keith Urban & more!